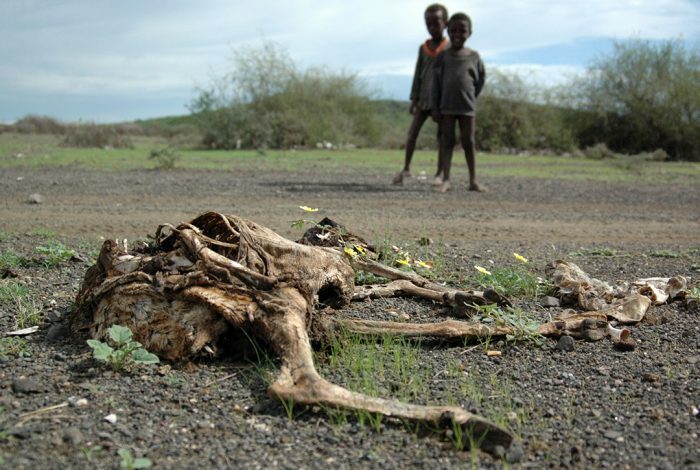 Unless immediate action is taken, climate change–related food shortages will account for more than half a million adult deaths by 2050, predicted epidemiologist Andy Haines. Writing in the New England Journal of Medicine (NEJM), Haines laid out the future in stark terms: Millions more will be subjected to flooding; 250,000 will die annually between 2030 and 2050 from heat stroke, disease, and coastal flooding; and global poverty will increase. The NEJM study asserts that “almost two thirds of the worldwide effects of changes in atmospheric and near-surface ocean temperatures for the period 1971–2010” were unequivocally human-caused, and that immediate action is necessary to curb the worst effects of climate change, which has a variety of both direct and indirect effects — some of which have already begun. Severe global warming will disproportionately affect developing nations, which have contributed the least to global carbon emissions. The World Bank estimates that more than 100 million people will be forced into extreme poverty by 2030, which will be shouldered mostly by the earth’s most vulnerable communities and increase global inequities. As temperatures rise, those in the hottest climates will be forced to migrate, directly fueling a global refugee crisis. “Climate change is happening, and it’s going to have all sorts of impacts on human society,” lead author Haines, a professor of environmental change and public health at the London School of Hygiene and Tropical Medicine, told Chloe Reichel of Journalist’s Resource. But, despite the evidence and tangible effects — like extreme storms, and other less obvious impacts (Haines’s study that showed a link between climate change and an increase in high blood pressure among coastal Bangladeshis due to drinking-water salinity) — the problem is highly politicized in the US. The fossil fuel industry is spending tens of millions of dollars each election cycle on lobbying and campaign donations, with the bulk of the money going to Republicans. And while they have lamented the problem, Democrats have not pushed aggressive legislation to combat it — but that may be about to change. Freshman Democratic Rep. Alexandria Ocasio-Cortez of New York has made headlines with her proposed Green New Deal, which would force a nationwide mobilization to decarbonize the economy, generating 100 percent of US power from renewable sources. 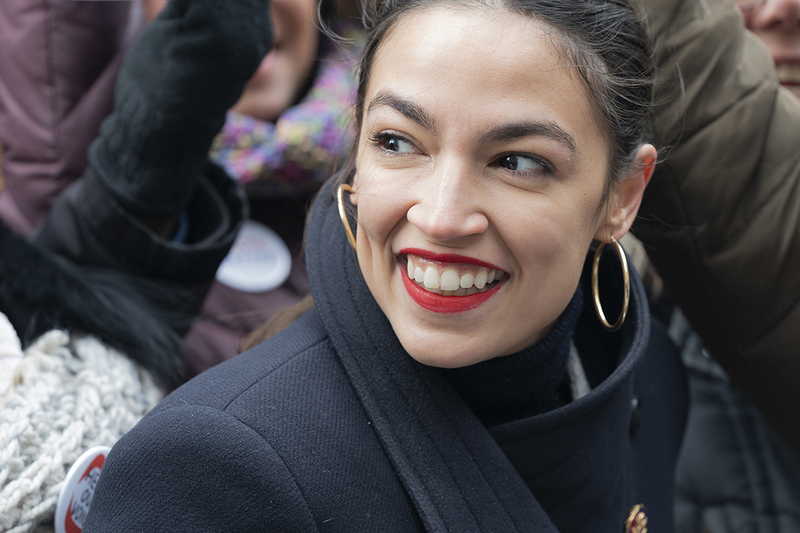 US Congresswoman Alexandria Ocasio-Cortez attends 3rd Annual Women’s Rally and March on streets of Manhattan organized by Women’s March Alliance on January 19, 2019. Ocasio-Cortez has made headlines with her Green New Deal proposal that would transition the country to 100 percent renewable energy. The study makes the case for drastic action to not only stop the hurtle toward severe climate change, but to prepare for its worst effects, which have already begun. August 2018 marked the 406th month in a row in which average global temperatures exceeded long-term historical averages. We’ve passed the “carbon tipping point.” And, even if all signatories of the Paris Agreement were to fully honor their commitments to reducing pollutants, more than 10 million people would experience flooding, meaning more drastic action is necessary. The study calls for action on the part of not just governments but also individuals, who could shift to a largely plant-based diet (slashing greenhouse-gas emissions by an average 20 to 30 percent in high-income areas) and opt for public transportation over personal vehicles. According to the study: “Climate change is causing injuries, illnesses, and deaths, with the risks projected to increase substantially with additional climate change, threatening the health of many millions of people if there are not rapid increases in investments in adaptation and mitigation.” Without further action, everyone is at risk. Related front page panorama photo credit: Related front page panorama photo credit: Adapted by WhoWhatWhy from drought field (U.S. Department of Agriculture / Flickr).